Cate Blanchett May Win Her Second Oscar for Woody Allen’s Superb “Blue Jasmine”!!! Sound the trumpets! Ring the bells! Beat the drums! Huzzah! Huzzah! Woody Allen has done it again with “Blue Jasmine”! He’s completely surprised us! And gone in a whole new challenging direction and written the most complex dramatic role he’s ever written for a woman. It’s the title role in “Blue Jasmine” and Cate Blanchett gives the performance of her career as Jasmine, who is indeed quite blue. Blue in the sense of sad, if not tragic. But also beautiful. For there’s is no such thing in nature as a blue jasmine, making Blanchett’s Jasmine as unique a cinematic flower as there ever was. At a time when it seems women in leading roles were basically being banished from our movie screens, replaced by the endless parade of testosterone-filled, comic book/explosion-fueled films for teenaged boys,”Blue Jasmine” is a breathtaking antidote.It’s the real thing. A great actress in a great screen role. Cate Blanchett is immediately iconic. Everything she’s done before or since will be compared to this. “Blue Jasmine” is delightful and uplifting, though Jasmine’s story itself is really quite tragic, Blanchett’s towering performance and Allen’s best-ever writing, make “Blue Jasmine” soar. Allen challenges us as an audience, and challenges Blanchett as an actress. And she meets every challenge, every single one of them, and surpasses and surprises expectations through her sheer force of her artistry. Blanchett’s had a career of great performances, but nothing really touches her Blue Jasmine. It’s like the role she’s been waiting to play all her cinematic life. She has one Oscar already for playing Katherine Hepburn in Martin Scorsese’s great bio-pic on Howard Hughes “The Aviator.”But that was for supporting. Jasmine is a triumphant lead. She could win her second Oscar here. And she’s certainly going to be nominated for Best Actress. Although it doesn’t look that way when it starts. So it’s a total surprise in that sense, confounding expectations, once again, Allen turns in something fresh and also real. “Blue Jasmine” is filmed in sunny San Francisco, a location where Allen has never shot before. And it alternates with an equally sunny New York City, which seems bright and happy and beautiful,too, as you can feel Allen’s joy in returning to work in his own home town, a place he hasn’t shot in in years! But look out, dear readers, dear cineastes, all that Californian sunshine is going to get quite dark as the film goes on. Allen wants to paint a portrait of a conflicted, complex woman. Almost Tennessee Williams-esque. It’s like he wanted to go a round or two with a Williams-like heroine at his story’s center, instead of a nebbishy male Allen stand-in, like Owen Wilson’s character in “Midnight in Paris” and many others playing Allen’s familiar neurotic tics and tacks. And Jasmine makes all the other heroines in his films, well, seem superficial or well, trivial. But of course they were all comedies. I’m thinking of YOU “Annie Hall” which won Best Picture and got Diane Keaton HER one and only Oscar. “Jasmine” is different in that it’s all Cate Blanchett’s show. And it isn’t really funny. In fact, it’s downright slimy at times because Jasmine(real name Jeannette) is not an easy character to like, or even warm up to. She’s clearly patterned not only on William’s Blanche du Bois, but also Ruth Madoff! Now I never really considered Ruth Madoff as tragic heroine. But Allen evidently does, as it seems he’s ripped this story right from the headlines. Jasmine’s ponzy schemer husband,Alec Baldwin hits exactly the right skeezy huckster note. You KNOW he’s the villain, but you see Jasmine is totally, blissfully unaware that her whole Park Avenue/Hamptons jet-setting life-style is going to come crashing down, but that’s exactly what happens. 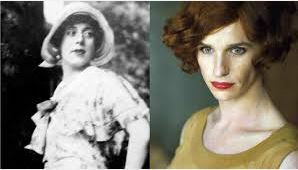 HOW that happens would be spoiling the film, I feel, but I can say, she ends up taking refugee with her completely opposite plain-jane sister, Ginger, a wonderful Sally Hawkins, who lives modestly as a super-market bagger in San Francisco, which is what brings Jasmine to the Golden Gate City in the depths of her despair. Allen, being Woody Allen, after all, does have quite of lot of comic fun,at first, with Jasmine’s plight, as she tries desperately to fit in with lower middle class society, even being reduced to being a receptionist for a horny dentist(a hilarious Michael Stuhlbarg) and popping Xanax like they were candy corn. Hawkins’s Ginger has a lot to do here, comically and tragically, and she does it all in fine style. Shockingly she’s never been nominated for an Oscar yet. But “Blue Jasmine” could also do it for her, as it surely will for Cate Blanchett’s unforgettable Jasmine. You have to struggle to like the difficult Jasmine. She’s not an easy woman to warm to as she makes mistake after mistake. But in that struggle lies the greatness of the film. Allen brings up complex, difficult questions about our consumerist society and the last shot of Cate Blanchett will haunt your dreams.